Editor’s Note: Kelly Slater published this piece on The Inertia on November 2, 2011 – the first anniversary of Andy’s death (also the day Kelly sealed his 11th World Title in San Francisco, which was recalled due to a math error discovered later that evening), and we believe it’s just as meaningful today as it was then. 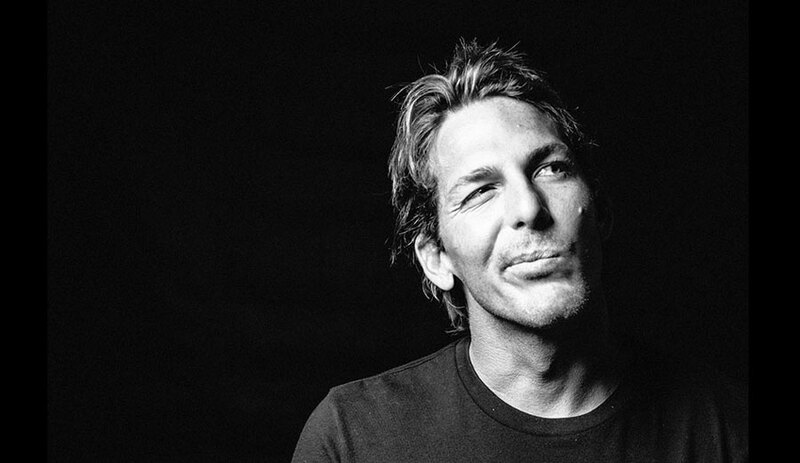 Please take a moment to read it and remember the life of Andy Irons. I’ve been asked for many opinions and interviews about Andy Irons and the situations and decisions that lead to his early departure from our world. It’s not something I take lightly. I have my own opinions about not only Andy’s choices and how he ultimately got to the place he did, but also about the way these things are handled from all sides of the story. But what is right? And whose opinions actually matter other than those of his family and closest friends about who they knew and how they feel inside? What is it that each of us hopes to take away from the Andy Irons story? And what is it that we want to give to the story of his life? I dealt, in a strange way, with the death of my own father through Andy. Even though he was 6 years younger, he reminded me of an older brother and for that reason alone we had a heated relationship. We wanted the same thing and knew the other was in the way. My father passed away in April 2002, and I made shirts with his picture on it. Andy and I weren’t close then so he had no idea, and for the next few months I stumbled around like a zombie tripping out that I would never again see my dad. Andy had just started his roll that year by winning a couple of events and taking the lead on Tour, and I had just gotten back on Tour but found myself not really caring about winning anything except maybe a war of words or a fight with somebody. Andy was just the guy. I’ll share a story, but for the sake of brevity, I’ll just say this: We got really drunk on a Tavarua trip. We got into a shouting match. I said something about him thinking he’s the man for winning a couple of contests. He screamed and laughed at me, “You’re going baaaalllldddd, hahahaha.” I told him he’d know how I felt when his father passed away, and he started kicking me in the face. (I had earlier punched him in the face in a crazy 10-man wrestling match in a taxi). Then Shane Dorian tackled him and pulled him off me telling him my father had just died a few weeks ago. Andy started crying hysterically and hugging and apologizing to me for the next half hour before he went to bed and then apologized again the next day. In some weird way I think I just wanted him to know that I was hurting because he had a way of just sorta being tough even though he was one of the most sensitive guys in the world. There was just this strange and awkward dynamic between us. Months later, he won his first title and all I could think to do was give him one of the shirts that I had made with a picture of my dad on it and congratulate him. He gave me a hug and thanked me and felt really awkward that I gave him a shirt with a picture of my dad on it. On one level he knew what it was about, and on another level he wasn’t gonna let me put a chink in his armor and wear that damned thing. For all I know, he either burned it or hid it. I’ve often wondered. The following years have been pretty well documented in our history. Not always correct or spot on, but at other times pretty accurate. The press maybe said some things that we might have thought but never verbalized. I loved and hated the guy, but I probably only hated him because I admired and envied what he was capable of. A year and a half before he died, at the first event of the year, he told me he was making a documentary about the changes and lessons in his life, and he wanted to help any kids that had ever looked up to him and struggled in their lives, because he now knew what was possible. He was so clear and happy and confident and positive. We stood off away from everyone else and had our first and only real one-on-one, heart-to-heart talk. I actually welled up with tears for how proud I was of him and how insanely unbelievable it was to have Andy look me in the eye and talk straight to me. He told me he had always looked up to me and asked me if I’d work with him on this documentary. He told me he couldn’t believe how amazing life was and discussed with me his fears, his goals, his struggles and his family. It was the true epiphany in Andy’s life: the moment he was open to clean out and shift all the things holding him back from his actual potential as a human being. And that’s the exciting thing: he had so much more ability and knowledge on so many levels. I won heats against Andy at that particular event and the following one at Bells. The only reason I’m sharing that is because both times he smiled and said good job and although he was pissed off at losing, I could see that he was enjoying the process of learning how to accept things, even the things he really hated, like losing…and to me! The last time I saw Andy was in Portugal a year ago. I was just about to clinch the title, and he saw me at the event and gave me a hug and told me he was really proud of me and that he hoped I would win the title in Puerto Rico and that he was “psyched” for me. I was thinking “Man, if I had only beaten you in Tahiti, this thing would probably be done,” and I sorta mentioned that to him, and we laughed. He gave me a big hug and high five, and I never saw him again. Two weeks later in Puerto Rico, some people were saying he was sick, and some people said he was partying. Some people said he never left his hotel room. Martin Potter and I were really concerned when he missed his first heat. I just remember them calling his name and his three-man heat surfing without him, and I felt really weird about it. We agreed that we needed to go see him at his hotel and see if he was alright, because there’s no way that he would fly all that way just to miss a heat. Then we were told that a doctor had seen him, and he was sick and resting. I was uneasy about him going missing, but at least it was an update. When he missed his next heat, and I heard that he had left, I was really worried. I got a call from a friend who was with him in Miami the night before and he asked me why Andy wasn’t staying in Puerto Rico and he told me Andy had caught a flight home thru Dallas. I called Andy’s phone and got no answer. I sent him a couple of texts and got no reply. That was within 30 minutes of when he was found in the hotel in Dallas. About two or three hours later I got the news that he had died. I sat on the beach with a homeless dog and started getting calls from people. The story of Andy Irons may likely never feel good to us whether you were his friend and you miss him or you have a strong judgment about his shortcomings and it made you angry. No matter what, it doesn’t make sense for someone so gifted and in touch on so many levels to die alone in an airport hotel room nowhere close to anything that mattered to him. But remembering someone can sometimes be about the toughest thing you ever had with them and feeling like your life is better for having experienced that with them. And if that can make you laugh or smile, you’re honoring their life and their legacy, I believe. I have questioned whether anything in our relationship and battles had any impact on the course of his life or whether I could have made a difference somehow. Maybe that’s just my own form of denial, but one thing is clear, I still can’t believe that Andy is gone. Hell, I still can’t believe that Todd Chesser is gone and Donnie Solomon and Malik Joyeux and a whole bunch of other good friends are gone. An anniversary is best used for remembering the good things and letting it all sink in more so that the sadness fades away and the good memories remain. And if we learn anything from that, let it be that the positive impact of Andy and all our other friends who are gone bring us closer to the ones and the things that we love right here, right now. I’ll leave you with one last thought of Andy. The other day I was with a friend who had given Andy some rims for his car. In his office, my friend had a signed board from Andy. The autograph was signed, “Picture me Rollin’!” And so I will, buddy. Read Keala Kennelly’s moving tribute to Andy Irons here and view a collection of Andy Irons photos from Tupat here.